Last hour of the last day Illinois Doe down! 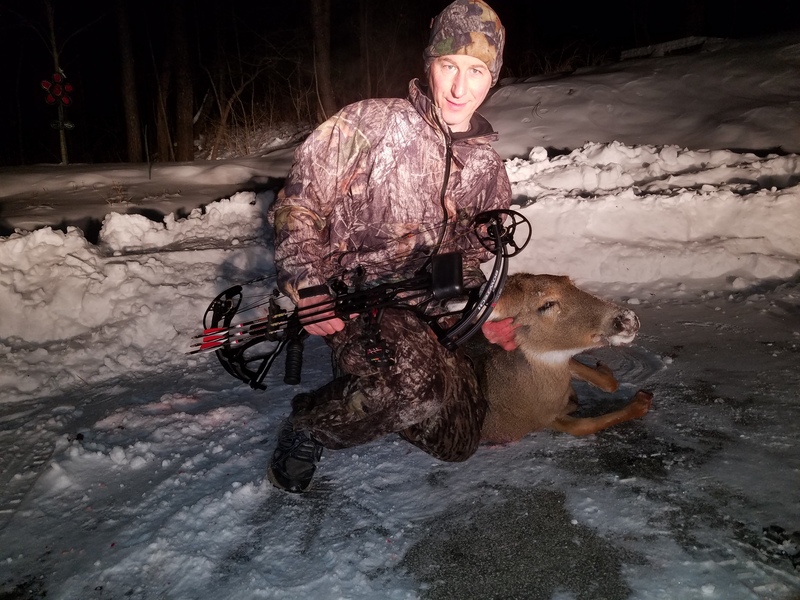 Thread: Last hour of the last day Illinois Doe down! Nice shot, Poot! That's a hell of a hole. I'm glad you finally got some action. This season was the worst I've ever experienced. I never even saw a deer other than from the highway while driving to/from the WMAs I hunt. I went out this past Friday with a 12 ga to chase squirrels (deer season is over) and in spite of great weather saw nary a sign of any animal activity at all, save for a few small birds. It was kind of eerie, really. I should be more careful about grumbling. I still saw at least a deer or two on more than half of my hunts and I dd see the one nice buck (actually, he looked like a giant). I'm sure there are plenty of folks who would trade but the herd by my Dad's has dropped dramatically. As far as the giant hole, it was very confusing to me since it's just the regular 2" cut rage. Looking back at the video, she had that front leg way back. We're supposed to wait for the deer to step forward. Well, I totally forgot that little trick. With the leg back, the hide and muscle was all bunched up so that's why all the damage. I also nicked the bone so I got a little lucky there. I should be more careful about grumbling. Naaaah. Half the usefulness of discussion forums is having a place to vent. 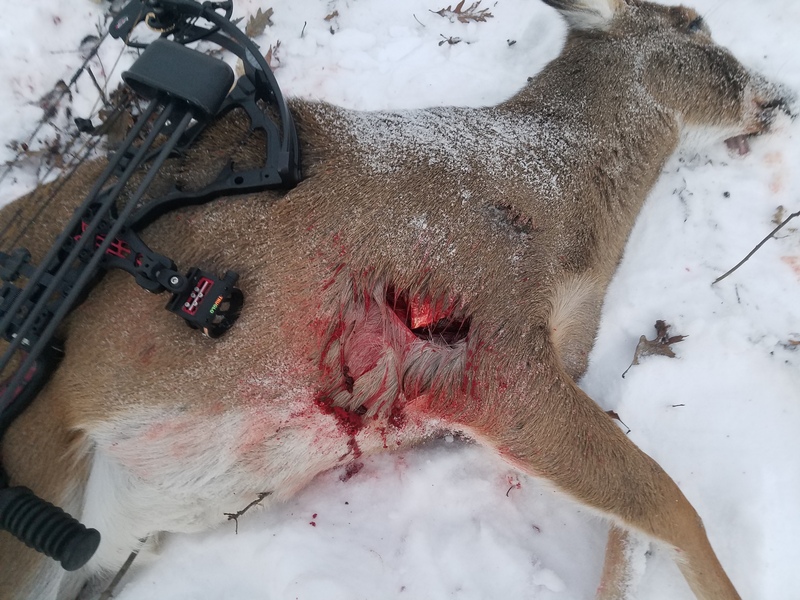 Nice shot Rich, what broadhead did you use, that'll be some good eating!! I shot an 8 point on the next to last day but I forgot how to put the pic up.. Thanks Billy! It was a Rage Hypodermic 100 grain. I've mostly been a fixed blade guy but I do like that one. When I look at this pic, I think of a big, meaty, hot bowl of venison chili, with beans.